The connection between HR effectiveness and technology just got a little clearer. 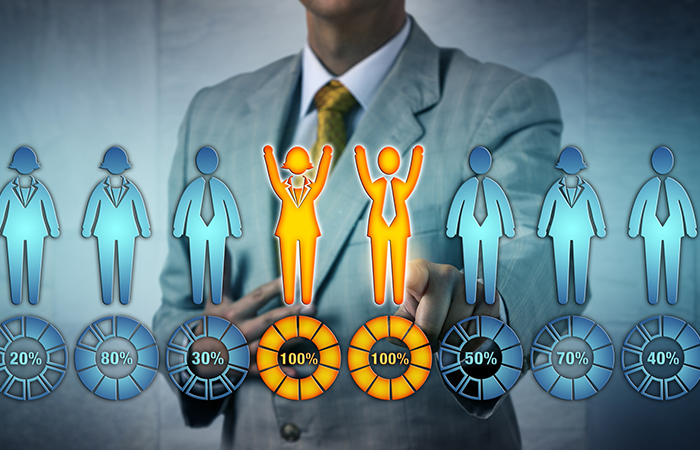 World-class HR organizations now spend 26 percent less than peers on HR and operate with 32 percent fewer staff while driving dramatically higher levels of effectiveness, according to Forging a Digital Path to World-Class HR, the latest analysis of benchmark data from The Hackett Group. So what do these high-performing companies have in common? According to Hackett, they have gone through a digital transformation, which includes investing in cloud-based HR applications and services that are enabling them to more effectively manage their organizations. Unfortunately, such a transformation requires more than just switching out old computers for new ones. “In HR, as in other areas, digital transformation is a multi-year effort that requires a clear strategy, well-defined targets and a detailed roadmap of initiatives,” said Franco Girimonte, associate principal at The Hackett Group. Changes in organization roles and structures to fully leverage HR brain power. However, not all companies in this research are embracing a turn toward technology—at least not yet: While 71 percent say they currently have an HR digital-transformation strategy, just 46 percent possess the resources and skills necessary for successful execution today. “This suggests that the slow pace of HR digital-transformation efforts may continue unless greater resources are deployed and skills are significantly upgraded,” the report states.